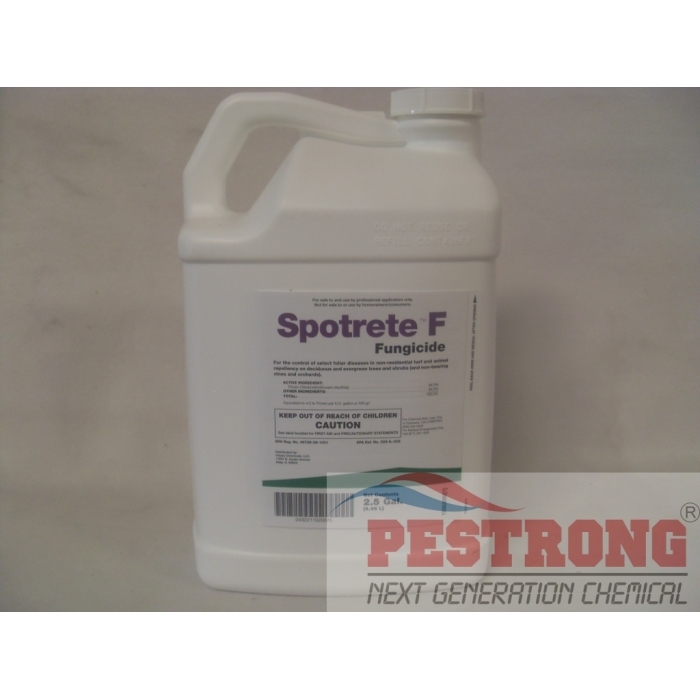 Where to Buy Spotrete Fungicide, Spotrete F Turf Fungicide Animal Repellent - 2.5 Gal - $159.95 for Sale with Fast Free Shipping! Spotrete F Turf Fungicide Animal Repellent - 2.5 Gal provide both curative and protective action of common turf diseases and protect nursery stock, shrubs, ornamentals, non-bearing orchards and vines such as grape vines from rabbit, deer and rodent depredation. Criterion 75 WSP Insecticide Merit Zenith -..
Strong fungicide. Works great on all the usual suspects. And it really does work on repelling some annoying pests like deer. If you're looking for another fungicide to complement your primary one AND you need a good strong pest repellent, this product is the way to go. I would even suggest you make this your primary and the one you're currently using as the complementary one.